It’s in nearly every dessert you can think of, from cookies to crème brulee, but how much do we really know about this ubiquitous flavor? Where does it come from and how did it get to Europe and the Americas? Cortez brought bags of vanilla and cocoa beans back to Spain and shortly thereafter, the European version of cocoa with added sugar or honey took off and plantations spread throughout the Dutch, French and English colonies. Vanilla however, was another story. 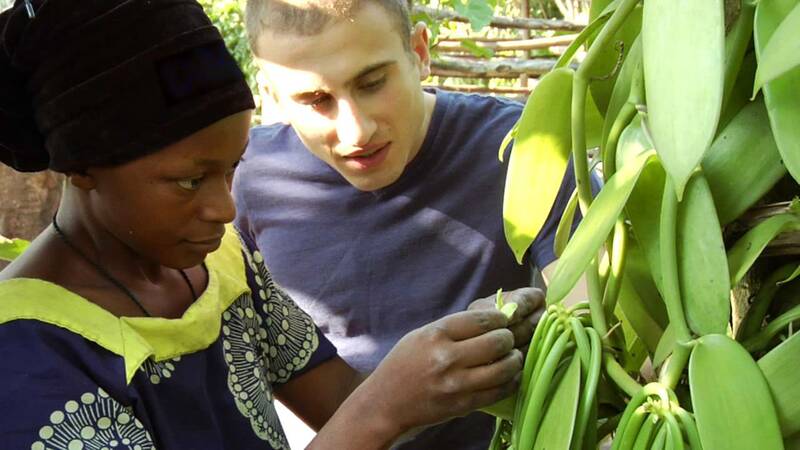 Though the vanilla plant, a variety of orchid, soon grew under favorable conditions the vanilla pods did not. By the late 1600s the upper echelons polite aristocratic and papal society were consuming chocolate as a beverage while the cultivation and production of vanilla was still proving quite a mystery. In 1837, nearly three hundred years after vanilla was first “discovered” by Cortez, the Belgian botanist Charles François Antoine Morren found the missing link. The vanilla plant needed a pollinator. In what was now called Mexico, this pollinator was none other than the stingless Melipone bee which was native to the region. Shortly thereafter a French botanist named Neumann successfully pollinated the vanilla plant but his results could not be replicated. The problem of pollination was solved in 1841 by none other than Edmond Albius, a 12-year-old boy who was enslaved on the island of Réunion, a French colony, in the service of a botanist. Albius discovered the technique of manual pollination. Export of these manually pollinated plants soon followed with cuttings of the plants being taken to outposts of the French Empire, giving France the lead in vanilla production. By 1900 approximately 200 tons of vanilla was being produced by the French colonies. England and Belgium soon began followed, cultivating the vanilla orchid in many of their own colonies throughout the world. Alas, history was not kind to the boy who was responsible for making such production possible. Albius died in poverty in 1880. Vanilla became a favorite of Queen Elizabeth I after her apothecary created a chocolate-free sweetmeat which she was said to adore. Thomas Jefferson himself was largely responsible for the popularity of vanilla in America after he discovered the treat while serving as the American Minister to France, where the French had vanilla in their ice-cream. Jefferson’s recipe is now preserved in the Library of Congress.